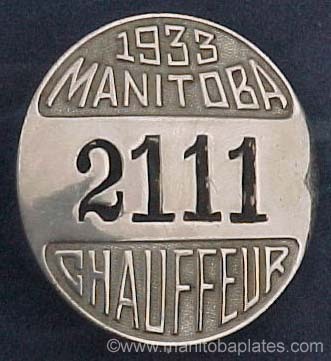 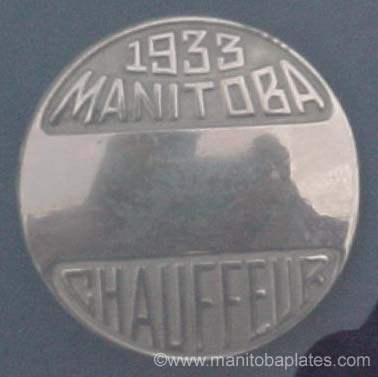 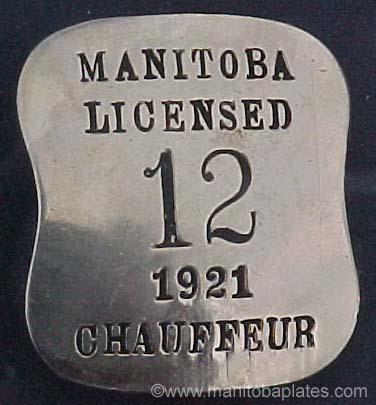 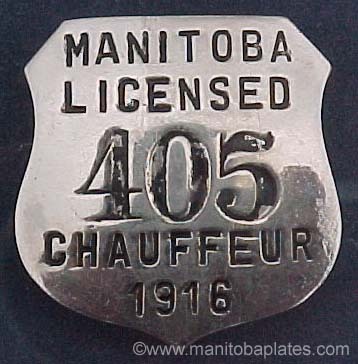 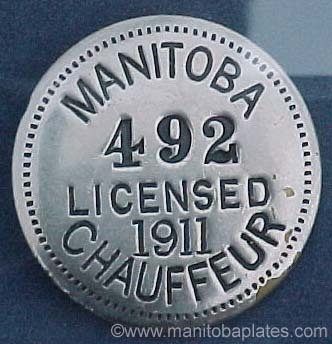 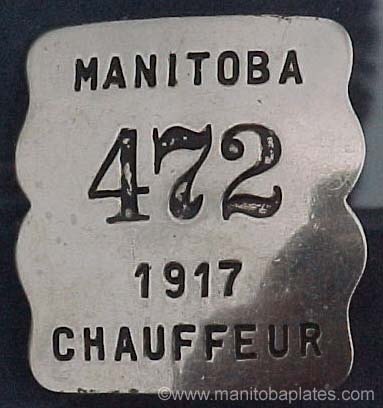 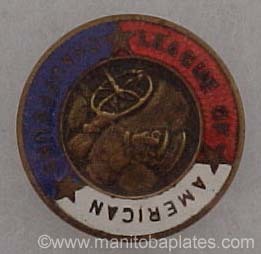 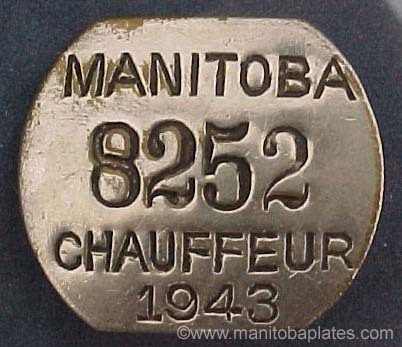 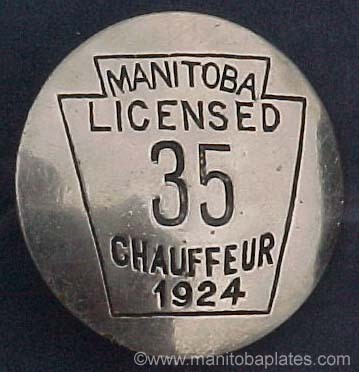 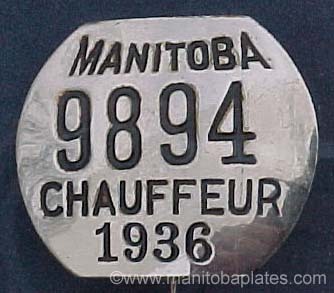 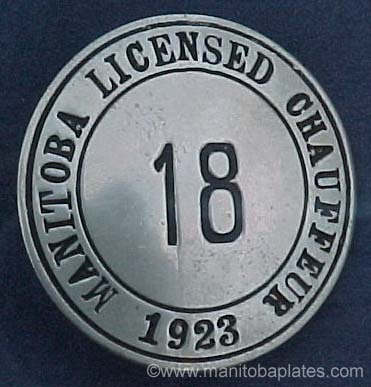 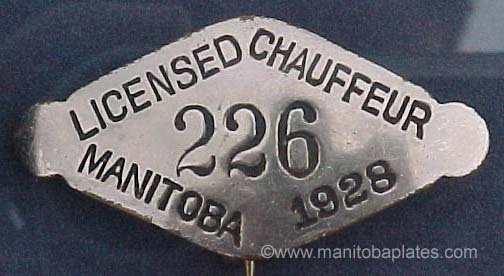 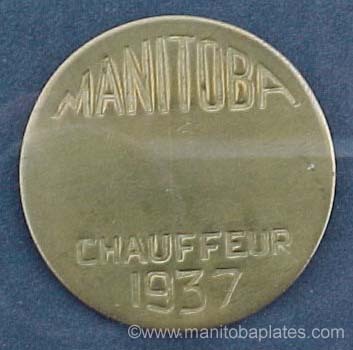 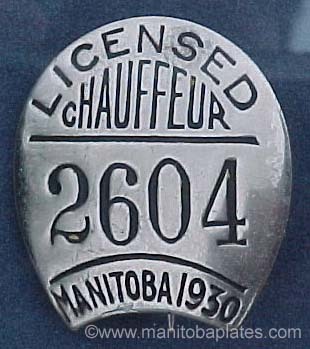 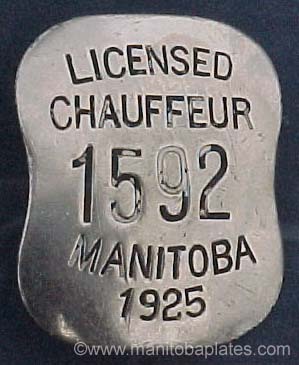 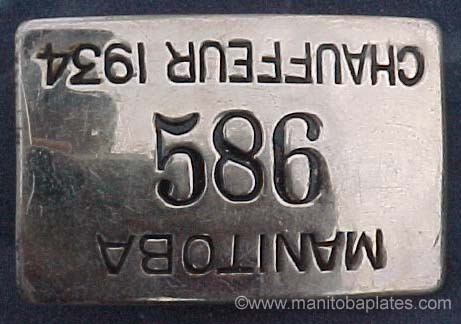 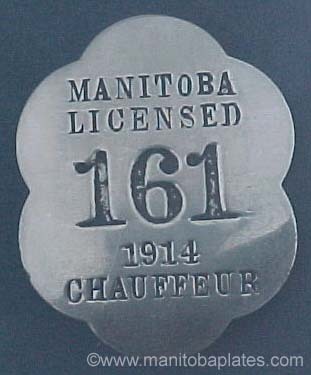 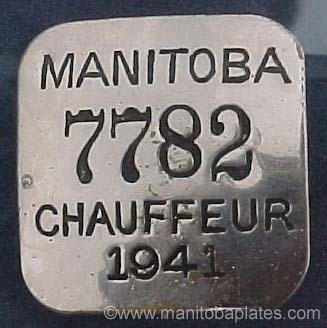 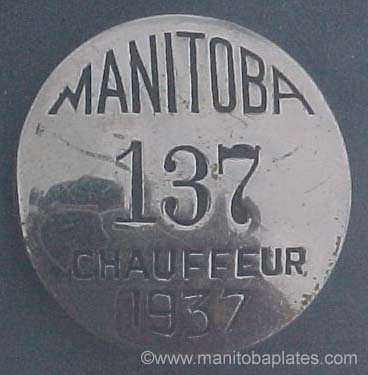 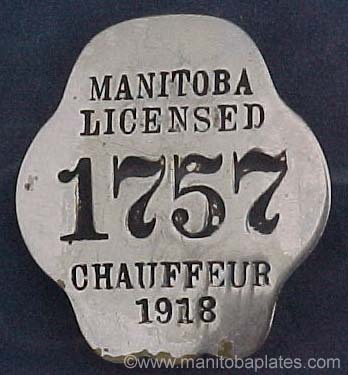 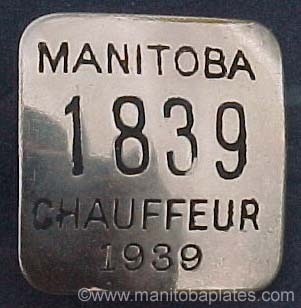 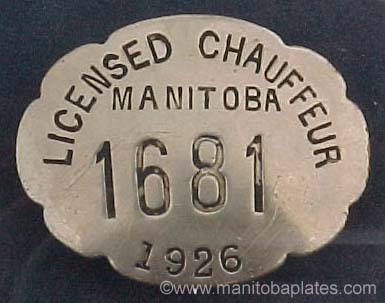 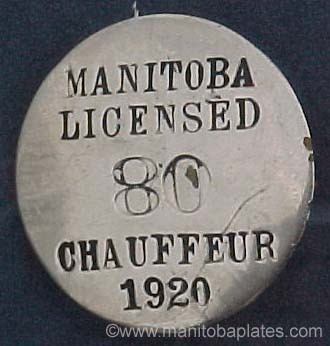 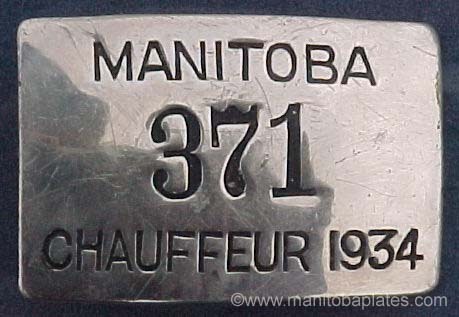 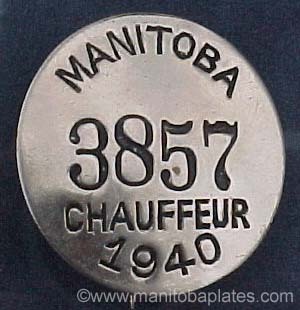 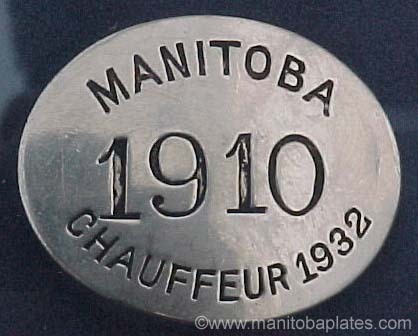 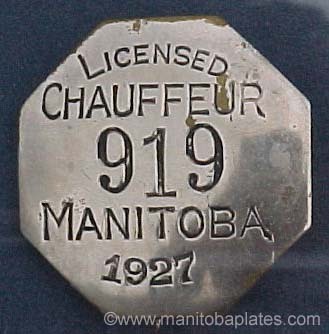 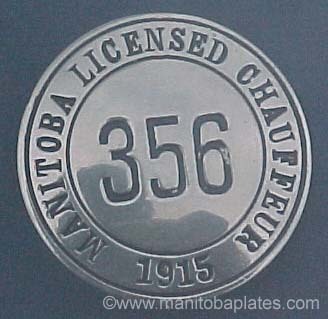 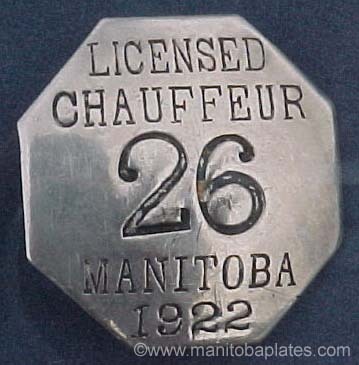 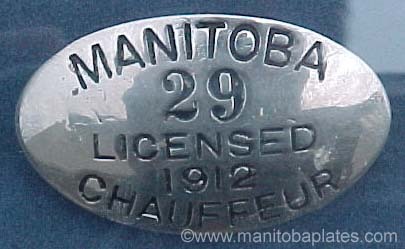 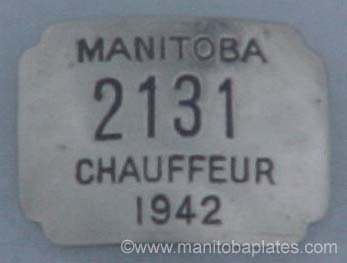 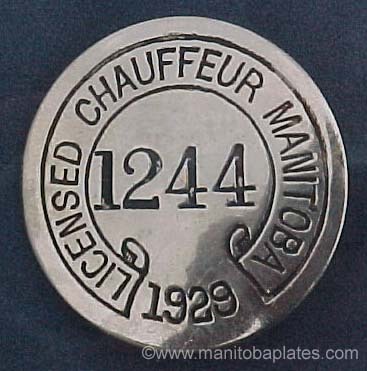 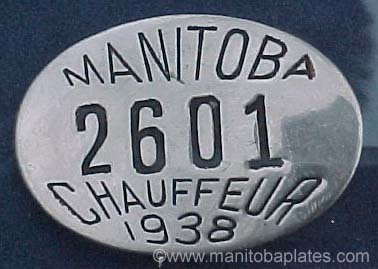 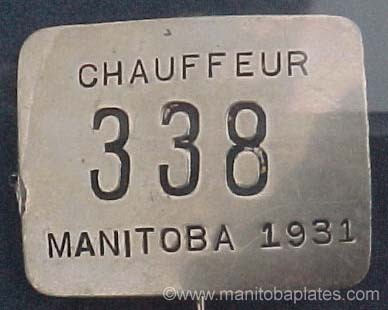 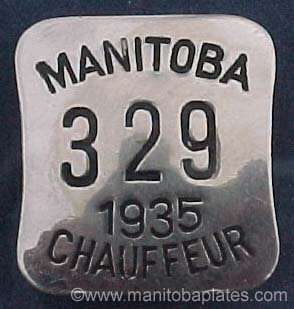 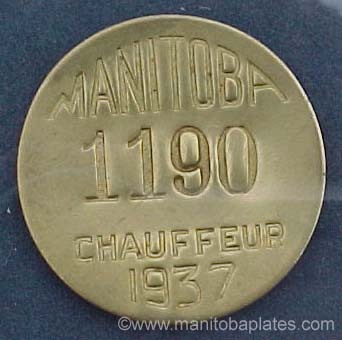 Although Manitoba Chauffeur Licenses are mentioned in the Manitoba Motor Vehicle Act(1908), it is generally accepted that 'Cab Driver' badges were issued from 1908 until 1910. 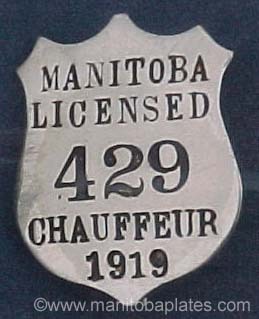 The first indication of a licensed chauffeur badge began with the 1911 badge, which was eventually discontinued in 1943. 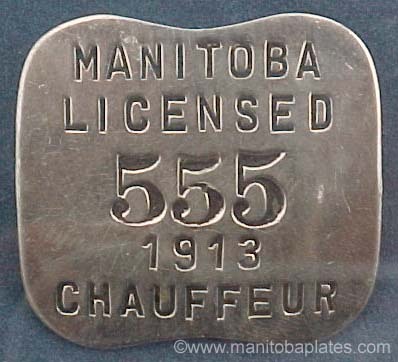 From then on paper licenses were issued, as 1944 was the year of no metal in Manitoba due to WWII.